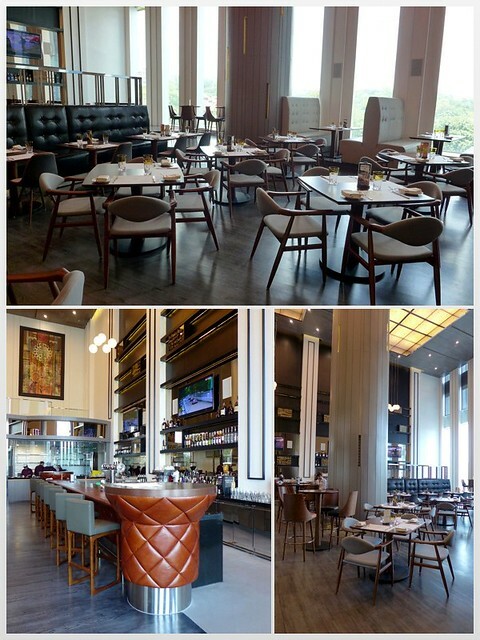 After months of renovation and anticipation, Gastro Sentral at Le Meridien Kuala Lumpur is finally opened. 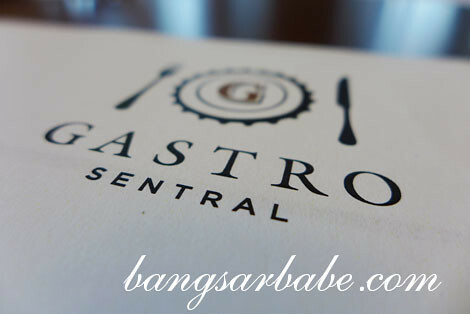 Designed with well travelled individuals, businessmen, casual shoppers and working executives in mind, Gastro Sentral aims to ensure guests enjoy the best gastro-pub experience in Kuala Lumpur. 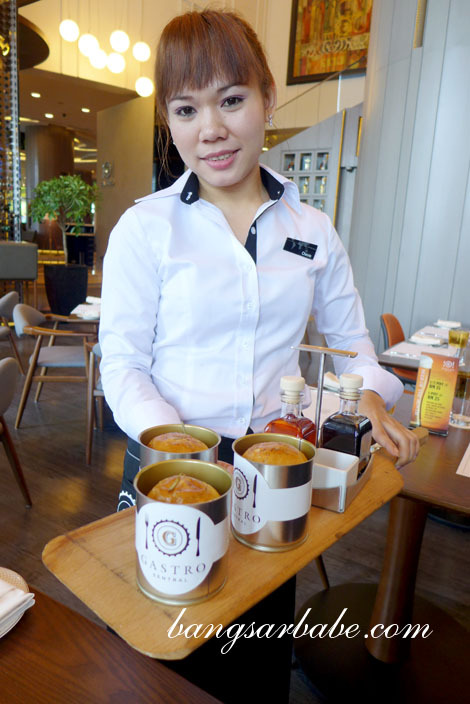 The restaurant oozes a chic ambiance, with contrasting elements, personalized serving boards and cute knick-knacks. Prices are shockingly affordable; happy hour beers start from RM15 and food pricing is cheaper than other hotels and many restaurants/pubs in town. 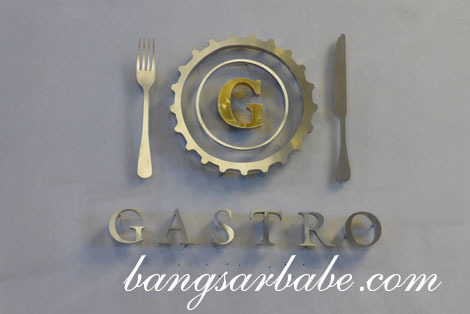 Prices at Gastro Sentral are nett; it is not only reasonable, but also casual and unpretentious. While the launch is set to happen during the first week of December, rif and I were privileged enough to receive a sneak preview of the menu. 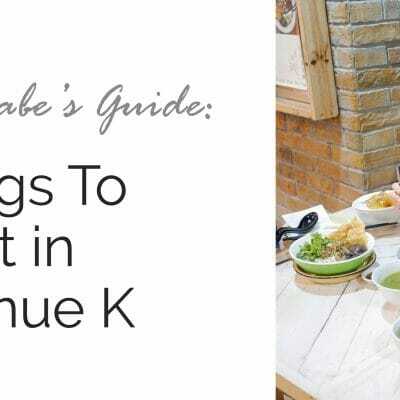 From the careful details right up to the serving method, it was a new (and fun) dining experience for us. 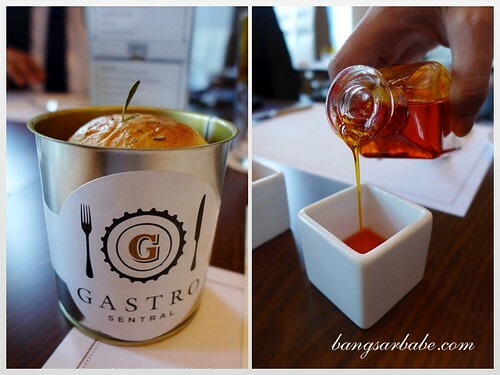 I adore how the complimentary rosemary bread was served in a cute tin can, bearing the Gastro Sentral logo. It smelt delicious and tasted even better when dipped into lobster oil and balsamic vinegar. Yes, you read that right. Lobster oil. 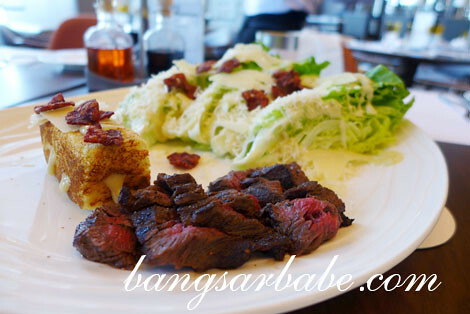 Gastro Sentral does uncomplicated pub grub with a twist in presentation, and this is evident in the Caesar Salad (RM20). The salad was assembled differently, and I found the toasted brioche bar most interesting. It was injected with salad dressing, hence the oozing-out appearance. 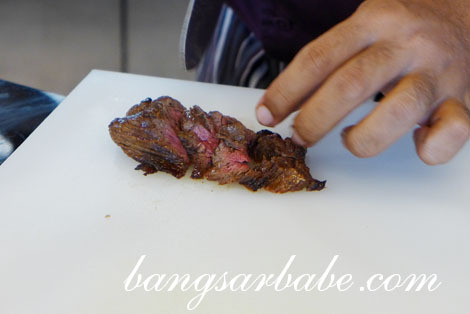 We added a skirt steak (RM10) on top, cooked medium rare and oh-so-tender. 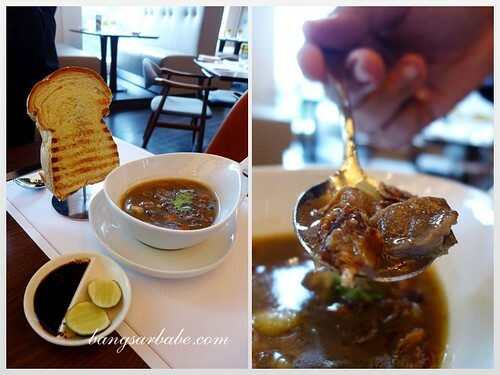 I didn’t try the Spiced Oxtail Soup (RM26), but don’t you like touch of Roti Bai on the side? 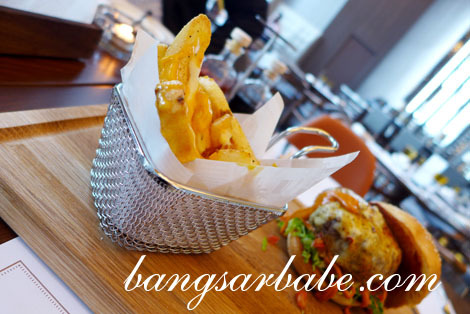 Burger @ Sentral (RM39) was the first thing I eyed on the menu. 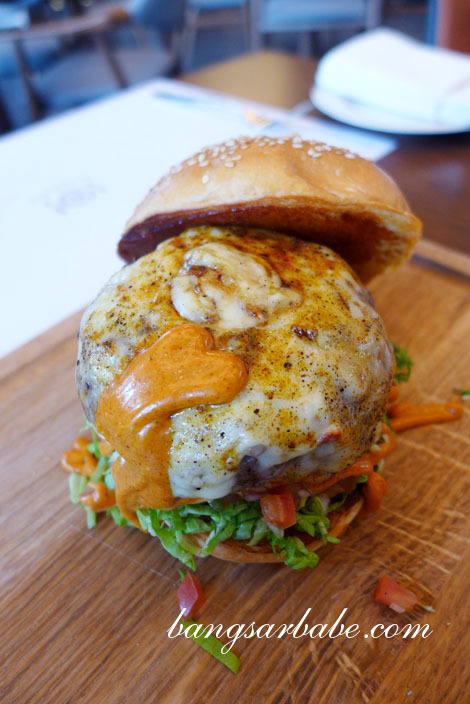 220gm of Black Angus beef patty, charcoal grilled to juicy perfection and served with Monterey Pepper Jack Cheese, salsa, lettuce, chipotle aioli and toasted sesame bun sounded like a dream. 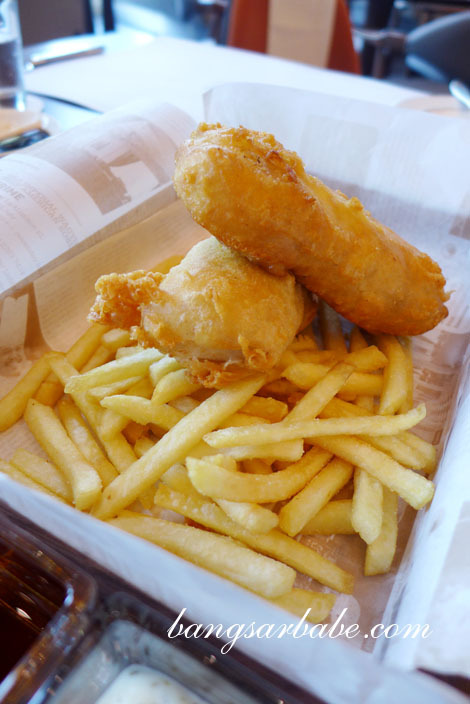 Fish and Chips (RM32) at Gastro Sentral is served with style – in a wooden basket laced with lemon wedges, homemade tartar sauce and malt vinegar. This was really good. 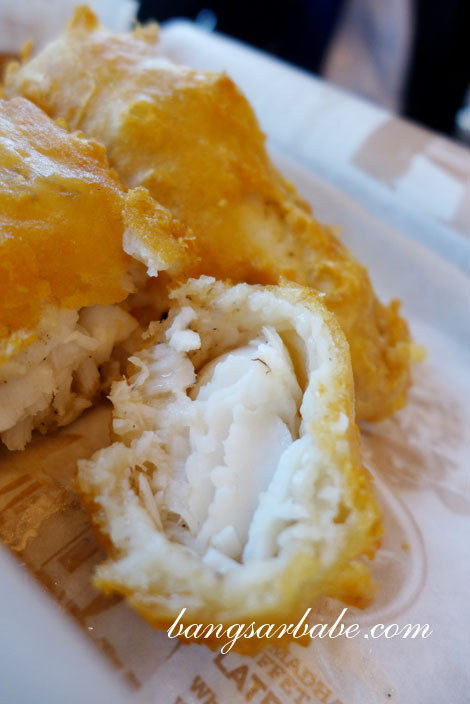 The cod was fresh, sweet and crisply fried. 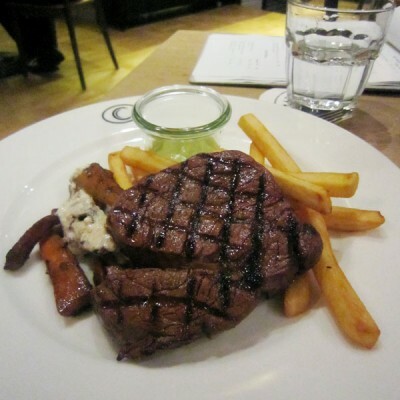 It was juicy and smooth inside, and the exterior remained crispy throughout. 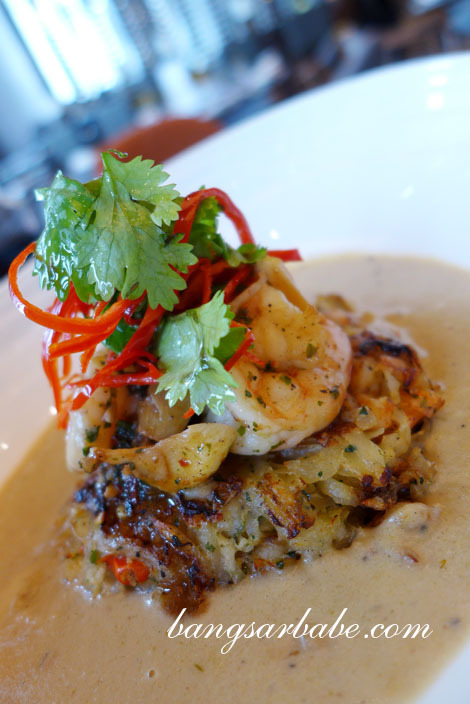 Just when we thought it couldn’t get any better, Elan brought out the Tiger Prawn Potato Hash (RM32). Really, really good. This was a winner in our books. The hash was crispy with a nice bite and placed on a bed of leek and fennel fondue. I liked the fiery touch from the fried red chilli and succulent texture of the prawns. I’ll never share this. 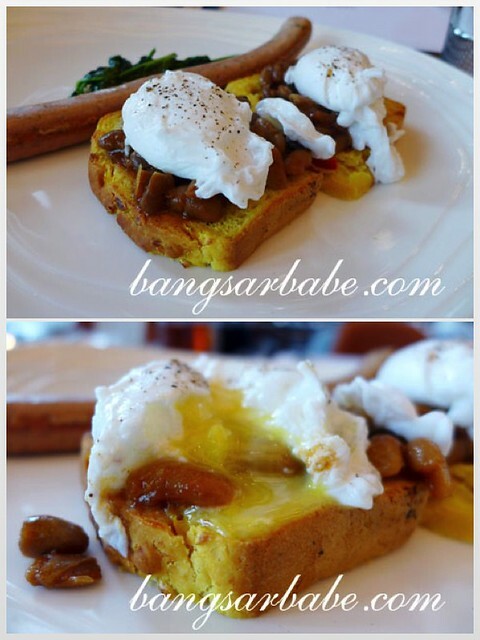 We also checked out Two Thick Slices of Pumpkin and Polenta Bread (RM30) from Gastro Sentral’s breakfast menu. This featured a duo of poached egg with baked beans on pumpkin and polenta bread, with a side of wilted spinach and Thuringen Bratwurst. After the robust potato hash, this one didn’t leave as good an impression. I suggest you eat this before you attempt the hash. The pumpkin and polenta bread might take some getting used to for some, but I loved the savoury-sweet flavour it boasted. 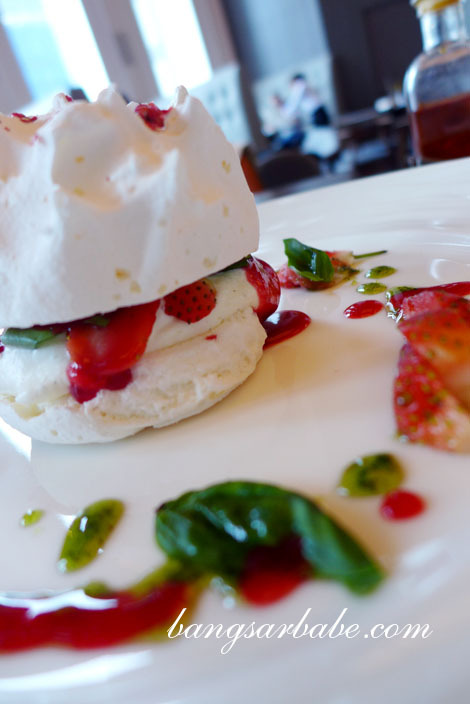 We were gloriously stuffed, but still managed to keep space for dessert – Pink Peppercorn Pavlova (RM19) and Illy Coffee and White Chocolate Brownie (RM25). Between the two, we enjoyed the brownies better. It didn’t taste like brownie to me, but more of a richly nutty and dense cake with a bittersweet aftertaste. I was excited about the combination of peppercorn with strawberry and basil. 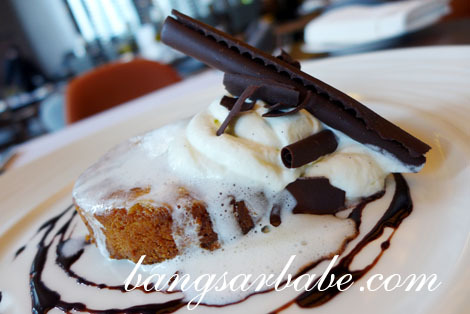 The basil added a grassy and sweet note to the dessert, and the peppercorn gave it an element of surprise. That said, more cream would have been better as I found the meringue a bit much halfway through. 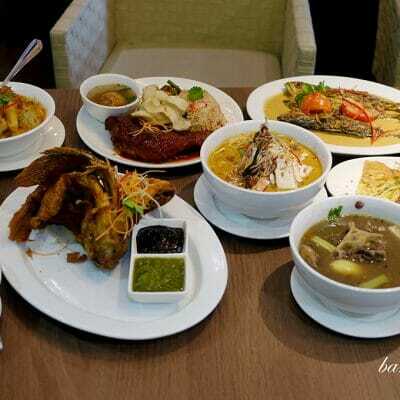 Overall, I’m impressed with the food at Gastro Sentral. This is definitely the place I’ll go to for a pint and a bite, as these days, I’m starting to find neighbourhood pubs too rowdy. Verdict: Love the food, and the special touches to the food presentation and packaging! 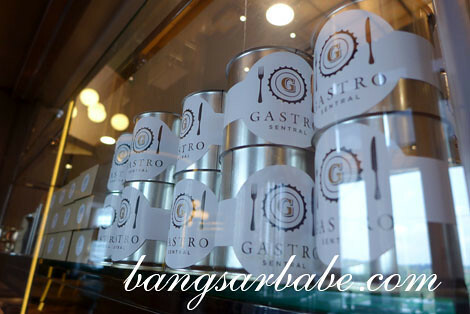 Share this Gastro Sentral blog post on your Facebook page wall and mention “Bangsar Babe Gastro Sentral Giveaway”. Get 50 friends to like the shared link. As soon as you have 50 likes, print screen the proof and post it on my FB page wall. The first person to post the print screen will win the voucher. This looks like a great place to enjoy a casual afternoon. And as u say, prices are very affordable for hotel standards. Yes, I’m really impressed with what they came up with. Do pay them a visit. I can’t wait to go there with a few of my girlfriends! Looks amazing and like you said, prices are shockingly affordable for Le Meridien. 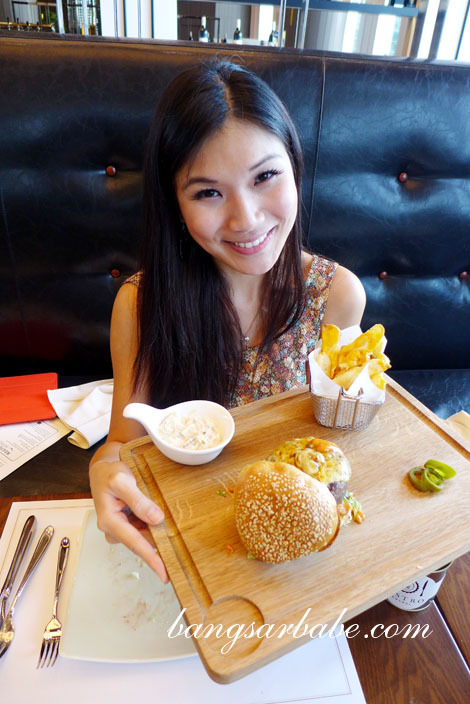 Everything looks really good, esp that black angus patty! 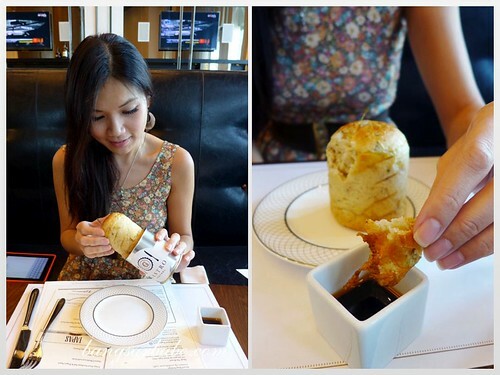 The brioche looks really interesting as well… love the attention to detail in the presentation. The patty of the burger is massive! Yahh….me too agreed on the burger. Looks so goooood! How about the drinks pricing? reasonable? Yes, good happy hour prices. It’s definitely cheaper than most hotels, and some pubs in Klang Valley.